Tana's Tasty Treats are crafted with love in small batches. Each treat and cake is homemade using natural, antioxidant-rich whole food products. No corn, soy, by-products or preservatives are used. To maintain freshness, all items should be kept refrigerated for up to two weeks or kept frozen for up to three months. Does your K9 friend have food allergies? Not to worry! We are happy to work with you to make any needed substitutions. 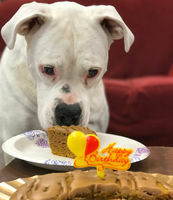 We offer Birthday Packages to celebrate your dog's special day. 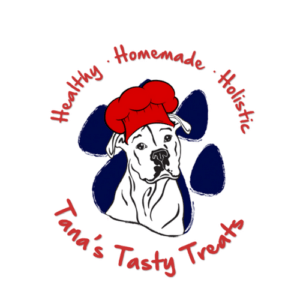 To order some of Tana's Tasty Treats for your canine friend call our store at 440-708-1364. Minimum 48 hours notice required for some specialty items.